Each is hand wrapped, using no solder or adhesive of any type. They are currently at a first come first serve basis, but can be custom made to suit your needs. Due to the nature of the stone, some tips may contain flaws which add to the character of the piece. Rest assured, quality is our first concern, followed closely by your enjoyment of our products. 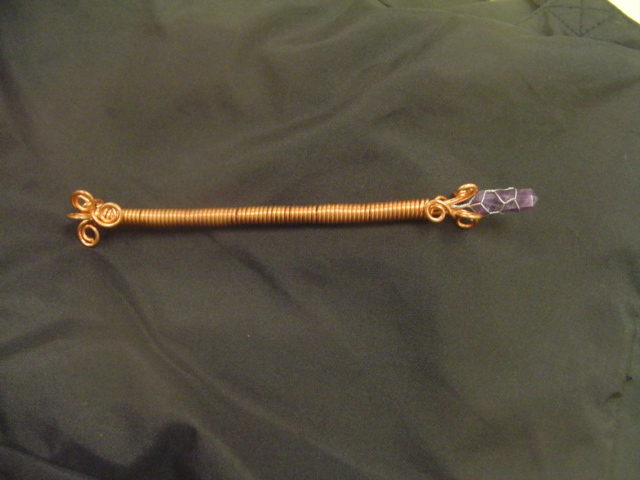 Tips available in Amethyst, Clear Quartz, Rose Quartz, Bloodstone, Hematite, Rhodonite and Jasper. Please add a note to your order as to which stone you prefer or one will be made for you. Each is hand wrapped, using no solder or adhesive of any type. They are currently at a first come first serve basis, but can be custom made to suit your needs. 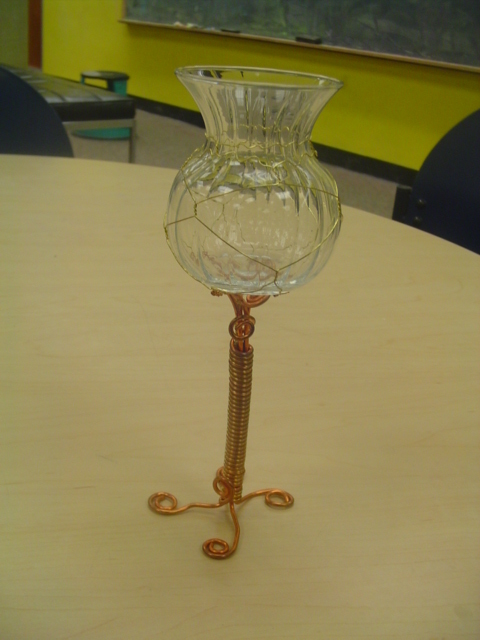 Due to the nature of glasswork, some elements such as cracks, bubbles or other flaws may occur. These add character to the design. All items are safe to use and any of these "flaws" can be disclosed on specific items before purchase should concern arise. Rest assured, quality is our first concern, followed closely by your enjoyment of our products.